You don’t have to search for long if you want to learn philosophies on selling. There are several writings and videos on how to sell yourself, your house, your business…anything. In comparison, you won’t find much theories on buying - how to buy what you really need, how to get what you pay for, etc. Personally, I think we need insights on buying more than ever because we buy so much junk, wasting our time and money on things that are, at best, aren’t of much use to us and, at worst, killing us. On the idea of getting what you pay for, I think it is essential for any Christian to have reasonable expectations with regards to his or her faith. If there is one common characteristic of backslidden or fatigued Christians, it is that of disillusionment, of things not being what they expected, dissatisfaction, fear, and the thought that they settled for something they could not cope or grapple with. While a lot of these might be down to personal issues, some of it is caused by erroneous mentality. 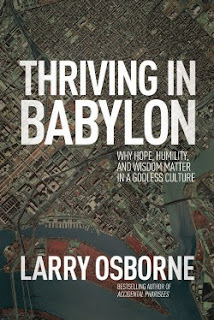 Larry Osbourne’s Thriving In Babylon explains to us that Christianity isn’t some kind of algebra, a set of conditions that you fulfill to get to an expected end. He tells us that what we signed up for isn’t a set of certainties, at least, in this life. The author says most of what we are taught as “God’s great deeds of old” are exceptions, a snapshot of God stepping out to intervene. It is not the norm. Growing up in a Christian home, I always thought the book of Daniel was an adventure story. I assumed the main point was that God would deliver me from danger and persecution if I had enough faith and did the right thing. The fire couldn’t harm me and the lions wouldn’t eat me. But if that’s Daniel’s main point, he and God have some serious explaining to do. 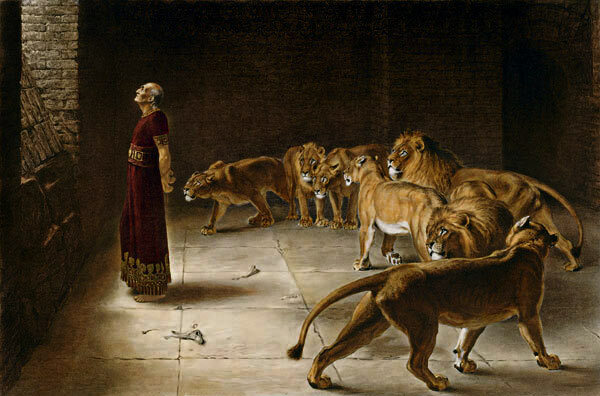 When it comes to fiery furnaces and hungry lions, Daniel and his friends aren’t examples. They’re exceptions. Our tendency to look at the past through rose-colored glasses isn’t just restricted to the long distant past. It also includes the fairly recent past. Consider how many Christians look back at the 1950s and the days of Leave It to Beaver as the golden era of family values and godly culture. While they were indeed good times if you were a white middle-class suburbanite, they were hardly the glory days of family values and godly culture if you were a black family living under the last vestiges of segregation and Jim Crow. He says Christians (in the Western world) must come to terms with the fact that we have lost the culture war with the secular community. However, he feels that should not be an impediment to working with them as Daniel was able to do it, even though things were much worse in his time. The author says that if we were to triumph as Daniel did, we need to imbibe hope, humility and wisdom. These traits, he says, were what set Daniel apart and what we must strive for, if we are to succeed. Our job is not to win the battle. It’s to follow God’s battle plan. There will be times when following God’s plan doesn’t seem to be working. But to those who have Daniel-like wisdom that begins with the fear of the Lord, that doesn’t matter. Even when God’s way seems to lead nowhere, it’s still the right path to take. The periods of our [the Church] greatest influence were not necessarily the periods of our greatest faithfulness. … a powerful church is not always a faithful church. It draws people for the wrong reason. Larry Osbourne’s Living InBabylon contains lots of insights about the principles Daniel employed to survive as a Jew in Babylon. More than that, it mirrors the man’s life into our today’s world and admonishes us that there is hope amidst this world's troubles. It also stresses on God’s hands recalibrating situations in the ways He wants it and that our job is to align ourselves with His directional winds. What I like about this book is the frankness and the simple ways the author presents his ideas. His analyses were spot-on and the message of hope they carry is refreshing. I recommend it to anyone seeking alternative perspectives on the present cultural wars between the secular world and the church. More importantly, it is relevant for those who desire to take their walk with the Lord a step further. Thriving in Babylon is published by David C. Cook and will be available to buy (Kindle version) from Amazon on the 1st of April 2015.